Furniture designing has been part of humans for centuries back. It is a lucrative business, as furniture makers were creating furniture of different sizes and shapes for nobility, aristocracy, and kings in the olden society. Furniture designing is as important as it was in the olden days. Today, they design different forms of furniture such as sofas, beds, and so on for the masses, offices, and homes. Many people take to furniture designing because of the fun. It is an exciting profession and it makes use of function and fashion. The career is highly rewarding. This means that you can make plenty of money out of the profession. Secondly, the job is highly creative. It is good for those enterprising individuals who want to show case their creativity, design, and imagination. Thirdly, the job is highly satisfying. You will be happy doing the work, and you work for different classes of people. There are many benefits of being a furniture designer. It is not surprising that many people including younger ones are choosing that profession. Before you become a professional, you must first acquire the skill, attend a training school, and get the certification. The process of becoming a quality furniture designer is not as difficult as you think. If you are ready to get started, we are here to help you. The major duty of furniture designers is simply to create objects for their clients. They design for different furniture categories for clients. The objects they create are for decorations. Furniture designers use different tools to create objects using their hands, computer, as well as software. They can construct different kinds of objects starting from the basic and most simple stool to the most complex furniture constructions. They can construct different kinds of objects using simple and most sophisticated tools. They can work as independent contractors, and they can engage in commercial designing as well. Furniture designers work for furniture manufacturers as well as big and small companies. Salary of furniture designers varies. The mean annual wage for furniture designers is roughly $44,710. Pay rates as said before varies and it depends on where the person is working. Moreover, the size of the organization the individual work for determines the rate. Furthermore, the job can be in high demand and because of the demand, it can vary the salary. Salary paid by big manufacturing firm cannot be compared to what is paid to an individual working for a small firm. Moreover, experience in job determines the salary. As a beginner, you can expect to earn anything from $38,000 to $42,000 on average. As you improve in experience, the salary can increase, some of the top furniture designers can get up to $90,000 – $110,000 annual salary (in most cases the top salaries are $48,000 – $58,000). If you spend many years in the industry, you can be earning a very respectable salary. The truth is that you have opportunity to earn more as you advance in that profession. Step 1Decide You Want It... And Be Creative! To become a furniture designer, you must have the passion and the zeal to become one. Secondly, you must be creative because without creativity, you cannot be successful in this field. Joining these programs will show you those basic things you should know as a beginner. Most importantly, it will introduce you well to the industry. There are different ways of undertaking the job internship training. It can be done at the school. It is better if you get it through a furniture design company. 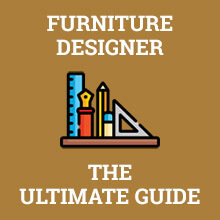 Though at this stage you cannot say to be a qualified or a professional furniture designer, but it can introduce you to those basic things and ideas that can motivate you to pursue your career to a great end. Take only those courses which employers will be happy with. This means that you have to take those courses that can help you develop the skill seriously. For instance, some of the courses you can choose include spatial design and 3D study. Taking courses in drawing will help the learner. While taking the courses, try to include computer assisted drafting. This skill is most important if the designer is to be relevant in today’s designing market. If your aim is to work for yourself, it is recommended that you undertake a training course in carpentering and upholstery. Furthermore, your training courses should include furniture, history of furniture and furniture technology and trends. Just like the training, you require a degree education to become a professional. Education will assist you with the knowledge. These are a wide range of skills and because of that, it is better acquired at a degree level. It is better that the candidate pursues a bachelor degree program. There are different degree programs that are related to it such as a degree in fine art, industrial designs, engineering design, graphics, as well as a degree in architecture and so on. The educational career varies and it depends on the university. The most important thing is that the student engages in a degree program that covers all aspects of furniture design. Universities or colleges offering such degree programs list courses that help the student have all the necessary skills and knowledge. Furniture manufacture and production method. CADD, which stands for computer aided design and drafting. Various educational paths are available for intending furniture designers to achieve their aims. If your aim is to work for big furniture organizations, it is a nice idea to begin with a degree program. This is the only way you can become employable by these big companies. Years of study are the same with other programs in design such as interior design, architecture and product design. These programs are related, and it is possible that you can take common courses. Degree program is recommended because it prepares you very well and you can acquire the technical background needed in different aspects of woodworking, metalworking, decoration, interior designing as well as studio and so on. You have seen the various ways of acquiring that skill. Before you become professional furniture, you must acquire the necessary skill through learning, training and so on. After your graduation, you have to go for licensing and certification. You need these before you can practice. There are training institutions that give the certification and one of them is the Pratt institute. Before you can be certified, you must complete 158 hours of study. These are required for five core courses that are needed for furniture designers. Certificate programs can always be done within the summer term. In some cases, students could spread the studies to cover different periods like spring, fall, as well as summer semesters and so on. There are many courses you can take for your certification programs and that depends on the institute that offers such courses. Furniture manufacturing and designing business is rapidly growing across the country. Practitioners must acquire all the necessary skills that can assist them thrive in that business. Certification courses will train the students on acquiring all the necessary skills needed for the markets. It can cover such areas like costing sheets, time lines, project briefs, and others. To acquire all the skill and to become certified and licensed, you must have acquired all the skills. Ensure that you have the training in institutions that are allowed to certify students for such programs. Before you are allowed to start a business, it is necessary that you have your business premises registered. With the license, qualification, and certification, it is not difficult for you to get the business premises. You can even have your business insured and that is when you have acquired all the skills and certified as a professional furniture designer. The average time varies as there are many types of programs and different routes to take to eventually become a furniture designer. Job prospects for furniture designers are higher. A study done for the period 2016 to 2026 indicated the job growth rate for the period is 4 percent. This is slow when compared to the national average. These designers will be in demand because of consumers’ desire for innovative furniture. It is expected that the demand for this kind of work will be on the increase especially for higher technical designers and fabricators. If you can be creative and design sophisticated furniture, then you will be a hot cake, many consumers including furniture-manufacturing companies will demand your services. With the right tools and training, and if you are able to meet all your customer expectations, you are going to thrive in that profession. You will always be busy as jobs will be readily available. The prospect for employment is great and depending on your creativity, the sky will be the limit to the level of success you can attain in that profession. This is because consumers would be looking for your services. Secondly, furniture-manufacturing companies will always be seeking for your services. That's a higher than average projected growth of 1,700 jobs. Should You Become a Furniture Designer? Overall satisfaction in the job is there. This is because you have a great service to deliver to clients from all over the country. With the right tools and the right training, you will be happy doing the work. Moreover, the pay is high and it is satisfying. Furniture designing is not a dead end profession. It is an old profession and the demand for professionals is always on the increase. The job is enterprising and highly creative. You will be happy with the work. Salary of furniture designers was discussed above, the salary varies and that depends on the years of experience. Average monthly salary for a beginner can be about $38,000 and it can be more than that. The payment will increase as you advance in your profession. Moreover, the salary depends on the type of company you work for as well as the demand for the service. If there is high demand, it will affect the salary of workers and this will be on the increase, the reverse could be the case when the service is not in high demand. It is certain that the sky remains the limit for qualified furniture designers. The growth prospect is always there because their services are always in demand. Many people demand innovative furniture for their homes and offices. Once you are creative and innovative, job outlook is always very bright. As long as there are human beings, as long as we continue to build homes and offices, furniture designers will be needed; these homes and offices require furnishing and furniture designers have great work to do, this job will not dry any time soon. The educational career varies, it is better to start with the basics. Many start as an apprentice to learn the basic skills, after acquiring the basic training, you can proceed to colleges and universities for degree program. The number of years or months you spend during the educational training varies. It can range from two years and above. 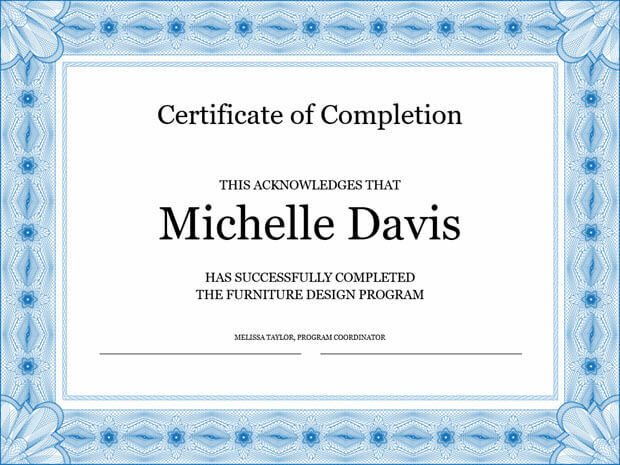 Within the next four years, you will become a certified and licensed furniture designer. The training does not take that long but it is important to cover all the necessary courses. In terms of skills needed, you are required to be creative. Apart from that, the professional should be able to communicate and be able to sketch. Furthermore, he should know about the development of patterns as well as isometric drawings. Furniture designing involved different things like making furniture and space plans. Most importantly, the professional should be able to carry out a complex design and solve difficult and complex furniture design problems. He should be skillful in electrical and plot drawings as well as data dimension. When it comes to product assembling and disassembling, the professional should be an expert in this area. Q. Who employs furniture designers? Furniture designers can be self-employed. In which case the person can register and business premises and provides services to clients. Secondly, big designing companies can employ the professionals in offices. Q. What is the average furniture designer salary? The average salary varies and it is almost at par with the national average. Take home pay ranges from ten dollars an hour and above for beginners. Q. What is the difference between a furniture designer and industrial designer? There are huge differences between furniture and industrial designers. Furniture designers have to deal with everything that does with furniture. Industrial designers are employed in industries and they can design machines and other things. Q. How long does it take to become a furniture designer? If you want to pursue a degree program, the training period ranges from two years and above. The most important thing is that you must go through all the course requirements. This job is good for those enterprising individuals who want to showcase their creativity, design, and imagination and design different forms of furniture for use. I always encourage such when I see them because I know it ain’t easy and they are still giving in their best. Furniture designing is an exciting profession no doubt, it is highly rewarding and creative. No matter how little you start, people must always come to patronize and this is not the time to be timid. The job needs you alert and ready to deliver. Just to stress on this fact, to become a furniture designer, you must have the passion and the zeal to become one. And your creativity must be at its peak. Without these, you will get fed up with the job even before you go far.